'￼HELLRAISER' WILL TEAR YOUR DVD PLAYER APART! 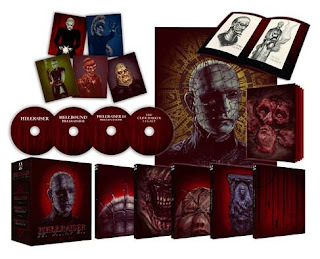 Coming at a time when the genre was degenerating into self-parody, Hellraiser offered a fiercely unique vision that approached its horrors with a far greater degree of seriousness than many of its contemporaries. Along with its sequels, the Barker-produced Hellbound and Hell on Earth, Arrow Video is proud to present some of the most terrifyingly original films in the history of horror in brand new 2K transfers.